Sooner or later the time comes when every brand must make a change. The skill is in understanding to what extent and when that change is necessary. Rebranding your business is a serious and in some cases a risky undertaking. It’s not something that you should take lightly, particularly if your business has been around for a while. It’s a fine line between alienating a loyal customer base and capturing new supporters which means a great deal of thought needs to go into any rebranding project. From time to time organisations rebrand for the wrong reasons and when not implemented properly it can leave your business worse off than when you started. A rebrand is about more than a fresh lick of paint or a shiny new logo, it signals a period of meaningful change and can sometimes require a complete overhaul of the company’s goals, message and culture. There have been a few high profile organisations who have changed their images in recent years with varying success but a common theme amongst the rebranding projects which have been most successful is a shift towards simplification. This fact is further documented in a recent study by Siegal + Gale ‘The Global Brand Simplicity Index 2015’ . In a marketplace of increasing noise and clutter, a big idea expressed simply will inspire both employees and customers alike and ultimately grow revenue. Before you consider a rebrand you need to understand the reasons for change and the problem you are attempting to solve. Sometimes a simple evolution (brand refresh) will be enough whereas other times it’s an extensive transformation (rebrand) that is necessary. To determine the level of brand change that’s required you must first explore why you might want to make a change. 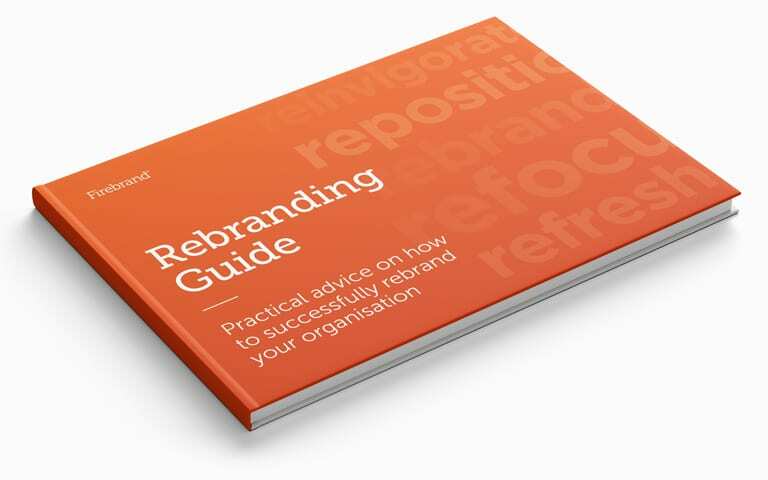 There is a multitude of compelling reasons why an organisation might consider a rebrand and they can be categorised as either proactive or reactive rebranding. Predicted growth — If your business is preparing for a period of rapid expansion then a rebrand can help position your organisation for sustained growth. Globalisation — If your business is considering venturing into international markets then rebranding will help your organisation make that transition. Relevancy — If your brand is losing relevancy in consumers minds, sales are declining, or your image is looking dated, then a rebrand can be an opportunity to reinvigorate and modernise your brand. New product or service — If your business has added a significant new product or service to your offering then the brand story can become confusing. A rebrand will bring clarity to your brand architecture. New strategic direction — If your business is planning a strategy that will potentially change the future direction of your organisation, a rebrand can help communicate the new intent to your customers and employees. Merger or acquisition — If your organisation has recently changed ownership due to a merger or acquisition, then it’s likely that your strategic direction has changed. A rebrand will allow you to reflect the different intentions of your newly formed company. Legal issues — If your business has run into trademarking problems or legal issues then a rebrand may be necessary in order to avoid any repercussions. Bad reputation — If your brand has suffered from negative publicity or become embroiled in a controversy then you may need to rebrand in order to rebuild trust from your stakeholders and customers. Industry influences — If new industry regulations or a new competitor is threatening your ability to compete in your market, then a rebrand can reposition your offering and breathe new life into your brand. Memorability — If your customers can’t remember your brand then rebranding can help you create a more memorable experience and increase familiarity and trust with your customers. If you’re thinking about rebranding your company, it probably means that your old brand is no longer holding up. Whether its evolution or revolution, change is inevitable, whether you’ve planned it or not.